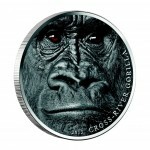 The coin has a gemstone - real chrome diopsice in wonderful green color! 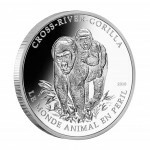 The coin with exreme..
Silver Coin CROSS - RIVER GORILLA 2010, Cameroon - 1 oz is a nice and perfect gift! Presen.. 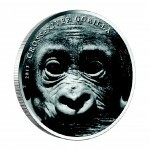 The coin with exremely limited mintage - 888! 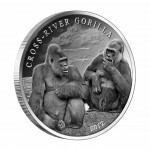 Silver Coin CROSS - RIVER GORILLA 20..
Exremely limited mintage - 1,000! 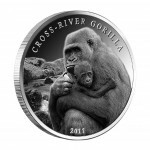 Silver Coin CROSS - RIVER GORILLA 2012, Cameroon - 1 oz is ..
Exremely limited mintage - 1,000! 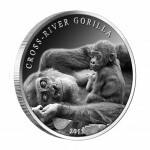 Silver Coin CROSS - RIVER GORILLA 2013, Cameroon - 1 oz is .. 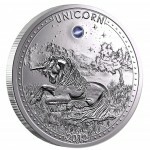 The coin has a gemstone - real opal! 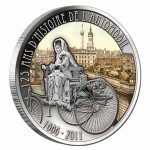 The coin with exremely limited mintage - 888! Silver..